With more than 3000 students and 330 employees Aalborg Business College fulfils an important role in the Northern Denmark region. Aalborg Business College has 4 campuses in Aalborg, specialized on vocational or academic education and training. The annual turnover is more than 200 million Danish Kroner. Since our foundation in 1875, Aalborg Business College developed from being an evening school offering courses for retail trainees and retail supervisors to a modern business college, providing upper secondary education programmes for young people aged 16-19. Courses – training programmes for private enterprises and the public sector (e.g. IT, languages, economics, sales and communication). Aalborg Business College has a large number of partner institutions in both Europe and at overseas destinations. Aalborg Business College is a self-governing, state-funded institution. The Board is a democratic construction representing local business, employees and students. 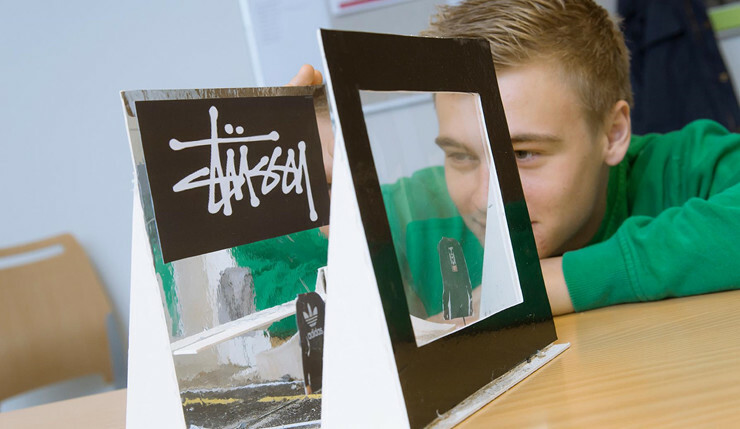 Aalborg Business College’s Management is innovative and flexible and highly specialised. The main activity of Aalborg Business College is to offer national programmes for vocational and business education and training in Denmark. These programmes are regulated and supported by the Danish Ministry of Education, and by a large number of advisory bodies, including representatives from our own industry committees and various labour market organisations. Our goal is clear: to establish modern learning environments, where Aalborg Business College actively supports the current development of applied methodology, combining interdisciplinary learning, integration of theory and practice as well as blended learning. Turnover is 200 million Kroner.